Next Friday will start a little exhibition with a selection of photos in Cologne. It will take place at Sport Medico Köln, you will find all details about the location on their website www.sportmedicokoeln.de. The vernissage will start at 15.00, so if you are in Cologne come around. 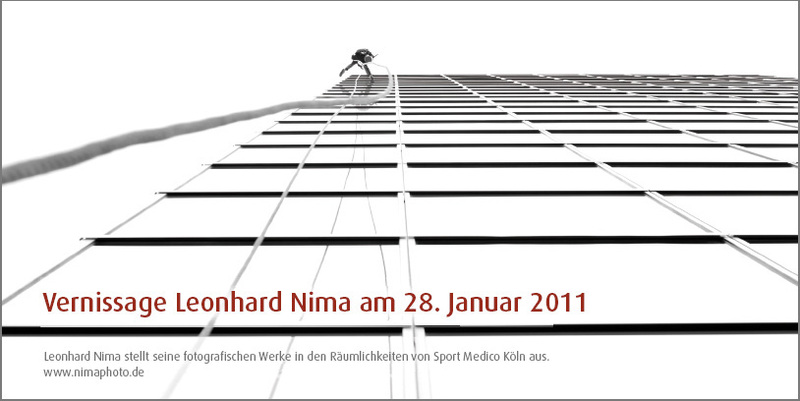 You are currently browsing the Leonhard Nima Photography blog archives for January, 2011.